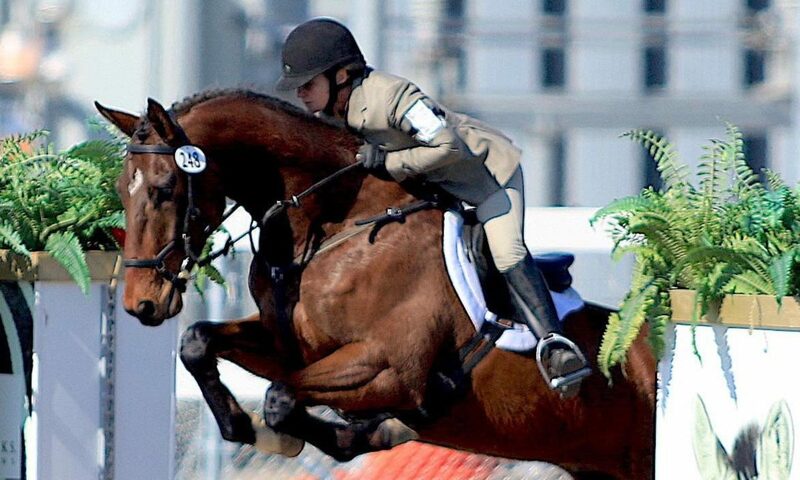 The mission of Four Star Farm™ is to ignite a passion and inspire mastery of equestrian sport in all ages. Four Star Farm seeks to build a community of equestrians of all ages who gain life skills, health, and happiness through the process of learning this sport. Horses in full training receive four training rides per week or four lessons. Owners can choose the combination that works for them, e.g., two training rides and two lessons. Full training includes mane pulling, feeding grain, handling for the vet, farrier, etc. Four Star Farm™ is a full-service barn that takes an active role in the care and welfare of the horses under our supervision. We believe regular and consistent movement contributes greatly to the horse’s mental health and body condition, thus each horse in our training program gets plenty of turnout. We utilize turnouts, free jumping, lunging with the Pessoa rig or sliding reins, training rides, clinics and lessons to create a custom program for each horse. Our program consists of private lessons, small group lessons and training rides. Since there is no static formula that can be applied when dealing with horses, we customize each horse’s program depending on the horse’s ability, fitness level desired and client goals. 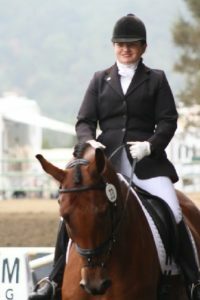 Head trainer Natalie Brady oversees the entire program, with a specialized focus for riders preparing for competition. Four Star Farm™ is supported by talented and experienced assistant trainers, who coach and handle training and barn management in Natalie’s absence. The team of instructors and assistants work hand-in-hand and take pride in their solid training and coaching abilities. Professional rides, lessons, grooming, bathing, blanketing, basic first aid, grain/supplement feeding, and leg and face clipping are all included in our monthly training cost. Body clipping is charged as an additional fee. We have our own custom rig for long hauls. The Four Star Farm™ training business is located at Emerald Hills Horse Ranch, 30486 Equus Lane, Winters, CA. Our horses are fed hay twice per day and grain/supplements at midday. We manage each horse’s feed program, including grain and supplements, and customize it depending on the horse’s condition and training program. We use SmartPak supplements, which are paid for separately by the client. We manage your horseshoeing schedule and work with an experienced farrier who is well educated in the demands of shoeing sporthorses.